In the beginning of 21st century, when perspective and persona are changed by postmodern thinking, church planting is most important. Providing a strategy for church planting and growth is to serve as a roadmap to success for Bulgarian church leaders and people who have dedicated their lives to making a difference within the community of believers. It is our prayer that such strategy becomes part of the Great Commission given to the Christendom. The process of transformation of Bulgarian communities in the United States toward a more contemporary and functional model of ministry will inevitably reflect on the process of internalization, which is taking place within the Church of God. The natural birth of the church, however, as described by the Bible does not include a process of internationalization in which one nation creates an environment for other nations in order for better representation. On the contrary, the Bible speaks of ecclesial equality represented by many ethnic groups naturalized in the body of the church. Naturalization in the church brings both equality and unity among its members. Internalization, respectively, resembles a process of mechanical assembling of a large mass of people under one name without giving them a unique nature that characterizes the community. Further recognition of the ethnic groups of non-American-born believers represented within the Church of God in the United States will provide the ability to naturalize its infrastructure as a body, rather than artificial over force to internationalize a body of an already ethnically diverse community. 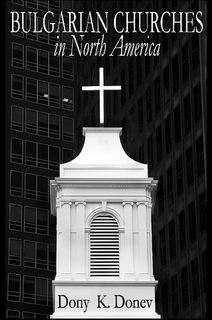 In the beginning of the 21st century such strategy will give the Church of God the opportunity to successfully target cross-cultural communities across the United States and produce church growth in metropolis and large urban developments, where the strategies for growth based on its historical dominating rural culture have proven long-ineffective. Finally, such detailed focus on cross-cultural ministries will assure the productive attention not only to large ethnic groups, but also to small and growing cross-cultural communities, which will continually assure the cultural and ethnic diversity of the Church of God and will provide it with a realistic international appearance.